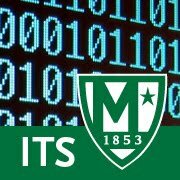 Manhattan College ITS Blog: COMPLETE: 7:20am Major network maintenance the morning of September 28 at 6am. COMPLETE: 7:20am Major network maintenance the morning of September 28 at 6am. ITS will be performing major network maintenance the morning of September 28 at 6am. The Once Card system and Card Access to doors.